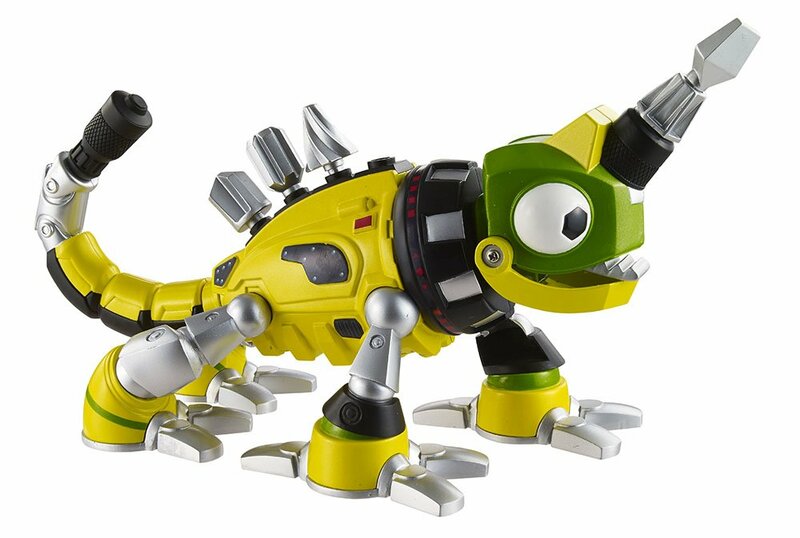 If you are a mom to a little cartoon enthusiast, you would definitely have heard of Dinotrux. It is an original Netflix animation that is an absolute hit with younger viewers and even the whole family. Half truck, half dinosaur, these characters on wheels tackle new problems in each episode and help keep your little one entertained. A Dinotrux lover is probably wishing for one thing – a Dinotrux toy. Luckily, there are a few really great Dinotrux toys out there that you can buy for the little fanatic. For birthdays, Christmas or even as a little good-behavior reward, the Dinotrux toys offer good, clean fun. Let their imaginations run wild when playing with their new favorite half dinosaur, half-truck buddy! Ty Rux and Revvit join their fellow Dinotrux mates to battle against the evil D-Structs. Help your little one complete their collection to recreate a whole Dinotrux episode! For some more fun, read on! Starting off small, this Gulphasor Die-Cast model is the perfect addition to a growing collection. There are other Dinotrux characters to choose from, but this Gulphasor just looks really cool. The models have rolling wheels and each one moves uniquely to their personality. 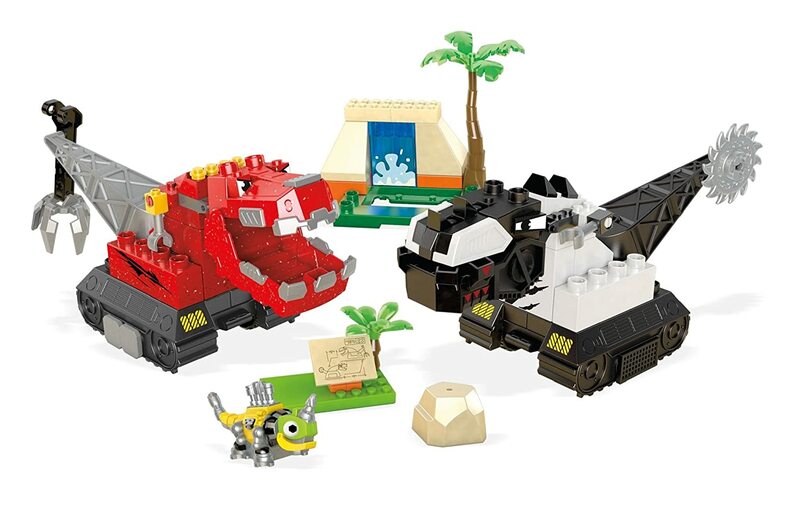 The packs either come with one other Dinotrux vehicle or a Reptools 2-Pac. It is a toy more for the collector, as it fits nicely on a display unit, next to all the other characters. Alternatively, these smaller size models are great as carry around toys, that can be easily packed away and taken around to play with. Ty Rux looks fiery in his startling red paint. A pullback motor revs up to drive Ty Rux forward, ready for action. The model has rolling wheels and many different movements. Tail smashing, mouth chomping movements will have any fan entertained for hours. Ty Rux is the perfect play size for any young child and is robust and hardy to last a good few playtimes! Great for stocking fillers or party favors, this 12 pack has it all. The pack contains 7 different characters, but 12 figures in total including duplicates. Each figure has a metal wheel that allows them to roll around the floor. The push and play figures include Revvit, Click-Clack, Otto Wenches, Towaconstrictor, Ace, Wrenchtools and Scraptor. Any favorite is sure to be there. Carry them around in a handy carry case for action on the go! A Dinotrux lovers dream set! Ty Rux battles D-Structs in this awesome build-it-yourself scene. Ty Rux is kitted in battle-damage detail and comes with a swinging claw tail, a moving jaw and even a reptool Revvit. The D-Structs comes with a swinging saw tail as well as a moving jaw. The buildable Crater waterfall background stands behind the workstation and rock accessory. The set allows your little one to create a battle scene all on their own. Isn’t he just the cutest thing? This Reptool Revit from the Mechanic Era will wheel in and copy all movements that the character has on the Dinotrux show. The toy has unique Reptool sounds and phrases, making it just like its cartoon counterpart. The tail activated spinning drill head has interchangeable bits and he even comes with a measuring tape! 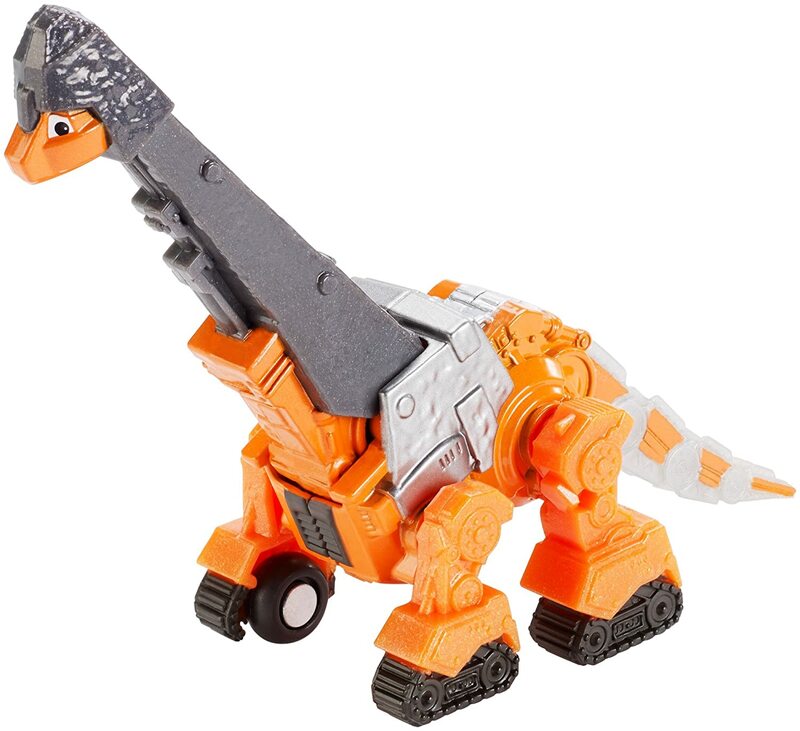 He is the best companion to any Dinotrux toy and is always ready to lend a fixing hand! 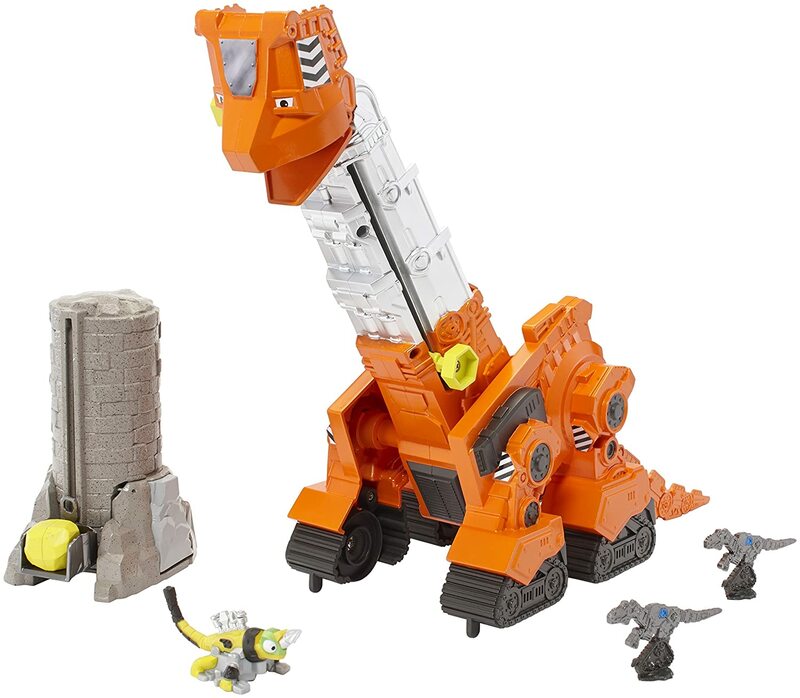 This large-scale Dinotrux set is a must for any fan. It comes with the kind-hearted Skya and even a Reptool Revvit ready to help. There are six activation points on the set that allow for easy vehicle control and movement. Skya has an up, down and side to side motion that can be manually activated. Reptool vehicles can be sent up and down by simply moving the tail. Skya’s height can be adjusted to suit the game and there are two Scraptor targets for some extra action on the track. This set is perfect to keep the little one busy and offers lots of different action, movement and play. 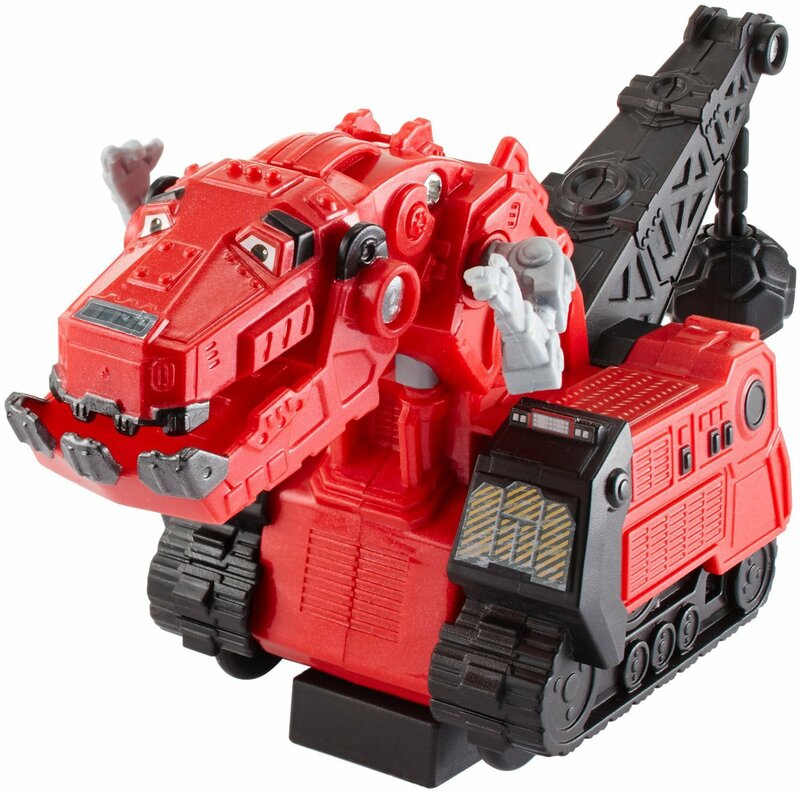 Now while this isn’t necessarily a toy, it is a definite must-have for any Dinotrux lover. Boys and girls will both love showing off this shirt to their friends, or even using it as a pajama top. The shirt is available in three different designs and comes in either blue, green or white. It is 100% cotton so you know it will be soft and comfortable. 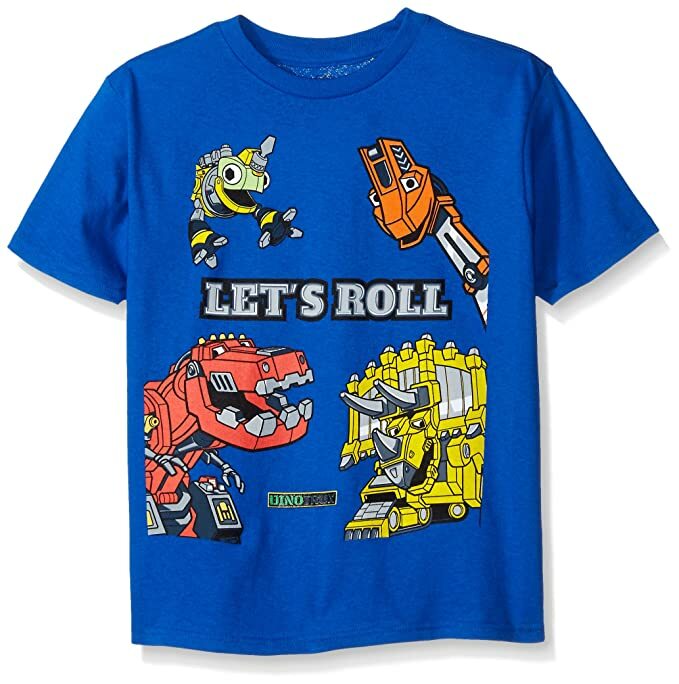 No Dinotrux collection is complete without this fan-tee! 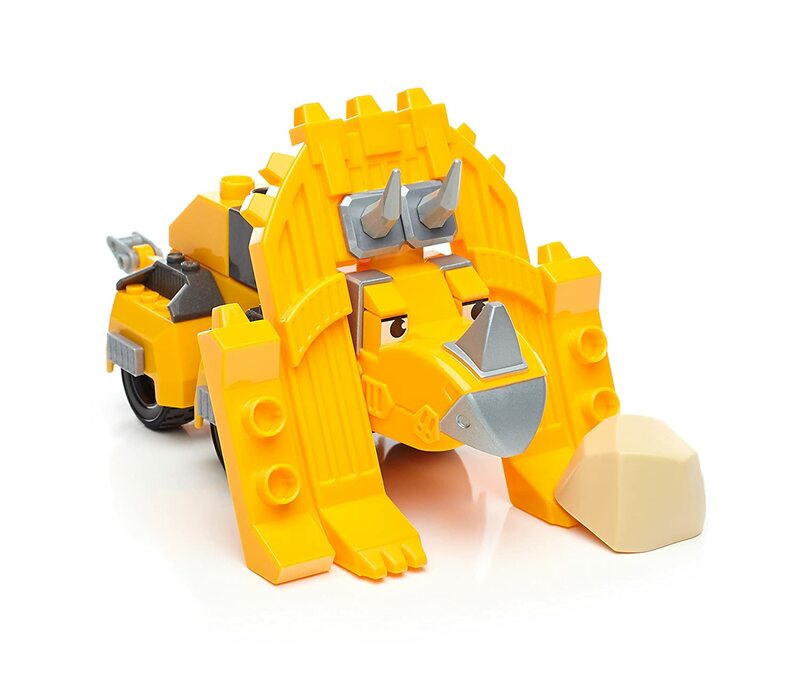 A buildable Dozer in bright yellow comes with a dozing blade, horns, a tail and a little rock to push and lift. 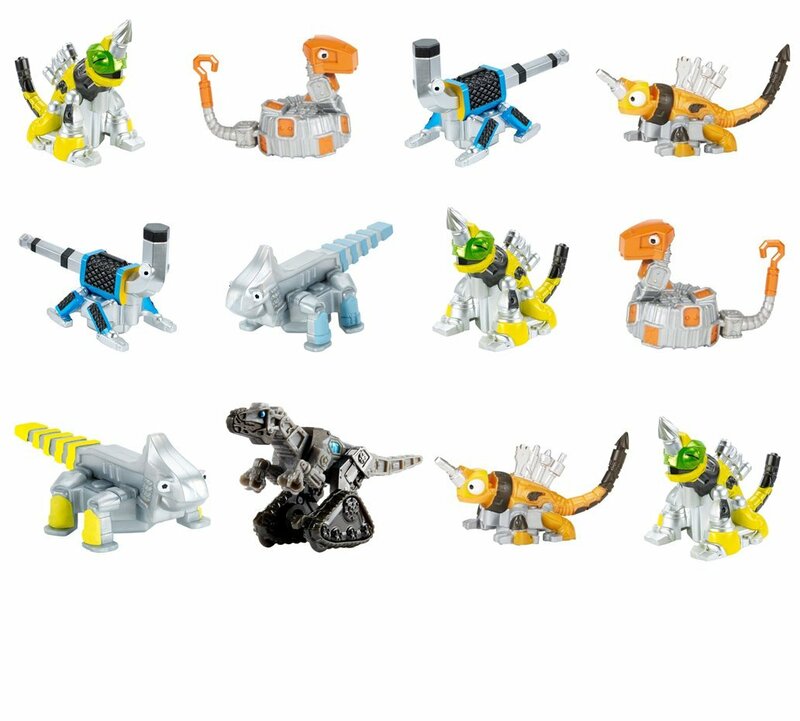 The CompatiBuild system means for easy construction for young builders and the set is compatible with other Dinotrux construction toys in the Mega Construx range. Dig craters and lift stones with this Dozer truck. Your little one will love playing out in the sand with their very own Dozer. Skya has armored up in this Battering Ram Skya set. Other sets in the range come with either a mid-sized Dinotrux character or a pack of 2 smaller scale Reptools – so there is enough assortment to keep the little one entertained and collecting. This Battering Ram Skya has rolling wheels and movements unique to the characters personality. This is the start of an awesome Dinotrux collection or better yet, the addition to an already existing one! 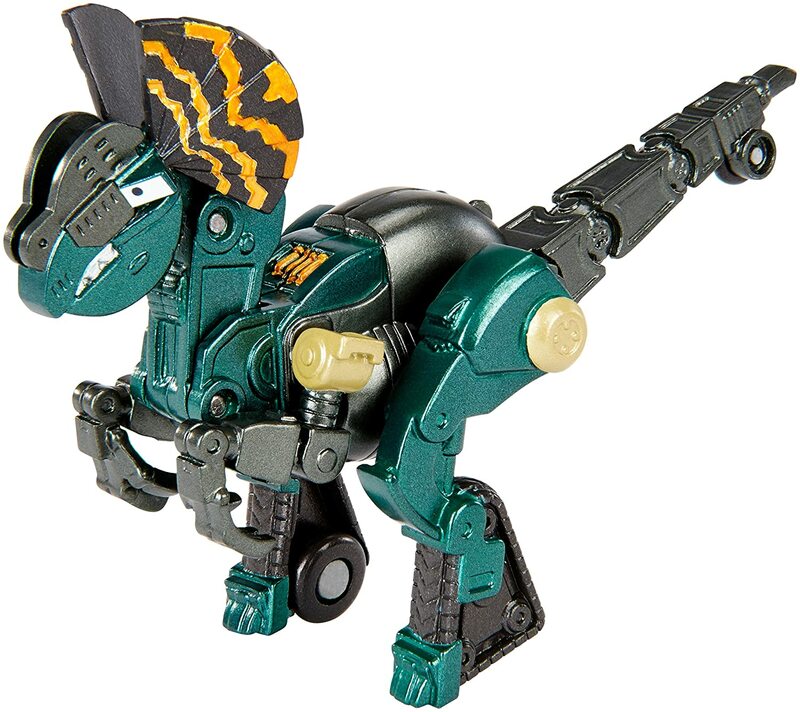 There you have the best Dinotrux toys out there for any little fan. There really is such a great assortment to choose from. T-shirts to stocking fillers, single moveable figures to battling sets – there is something for every little kid, and everything they need to build a collection for hours of fun. Dinotrux is definitely a fun-filled, good-to-watch show and more children should be encouraged to enjoy shows like this. The show is nothing but clean, wholesome fun. You will find yourself outside battling the D-Structs while your little one fights back as a Battling Ram Skya!